Do you suspect that you have bad breath? 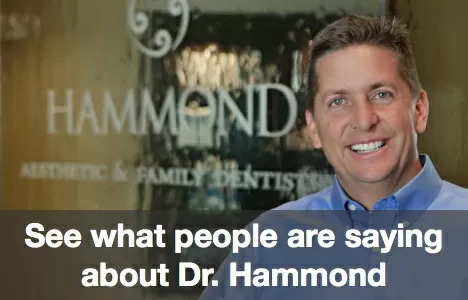 We’re Dr. Chris Hammond of Hammond Aesthetic & General Dentistry, a full-service dental office in Utah County. We help our general dentistry patients diagnose and overcome this unpleasant and potentially embarrassing condition with bad breath treatment. If you have bad breath, the first thing to do is make sure you are cleaning your teeth, gums and tongue thoroughly. This does not mean you should brush as long and forcefully as possible. Brushing too vigorously can harm gums and contribute to gum recession. At Hammond Aesthetic & General Dentistry, we help patients of all ages learn safe and effective brushing, flossing and tongue cleaning methods. To make an appointment for an exam, cleaning or consultation, call 801-374-0070. Your teeth are too important to neglect. While you are in our office you might want to see some pictures of our cosmetic dentistry patients. Seeking A Relationship In Provo?